If you are considering moving to Santiago, Chile, be it for a job or to study or maybe to retire, one of the first things that would come to your mind is finding a nice place to live. Santiago is a city of about 5 million and may seem like a sprawling city. But in reality the main tourist attractions, universities and company headquarters are located in a small area of the city. 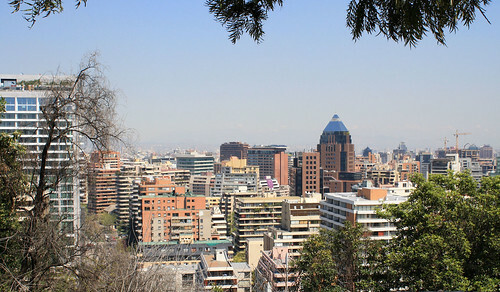 This area is made up of the districts of Providencia, Las Condes and Vitacura. Las Condes and Vitacura are located higher up the mountains and the well off prefer to live here. Depending on your situation and your budget, there are many good places to live in Santiago. You can find apartments to share as well as houses for rent in the city or only a short commute from the city. As a student on a limited budget you will find many simple apartments in Santiago Centro which would suit you. Though these apartments do not boast many luxuries they are very close to the universities and are ideal for the student. If you are moving with your family and have children accompanying you, one of the best places to find a house is in the Lo Barnechea area. This is a locality where many expatriates and diplomats live. It is a very secure and safe neighborhood and you can find gated communities here with golf and tennis facilities. Though this is an upper-class residential area and the rents are much higher, it is a beautiful place to live with your family. Other good places to live in are Providencia, La Dehesa and Alto La Condes. These are localities where you will feel at home because there are many Americans and expatriates who live here. There are also many schools in these areas that have English-speaking teachers. Though the rents vary in all these localities, they are generally a bit on the higher side, and you would have to do a bit of research to find a house that suits your budget. Your move to Santiago, Chile, should not have you worried as to where you can find a decent place to live. With a bit of research you will find just the kind of place that suits your needs. There are areas and places that suit all budgets, right from apartments to houses with gated communities.